Traditional Beveled Glass creates a brilliant display of sparkling rainbows in the home. Whatever you call it - We Do it ! 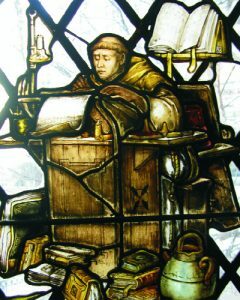 Tiffany Stained Glass, Ltd. has been serving the architectural and design trades with superior products and services. We specialize in custom design and fabrication of architectural art glass products. 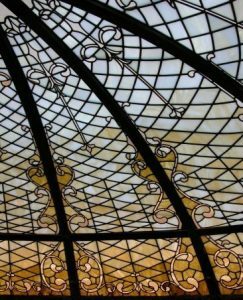 The architectural art glass products that we manufacture are: Stained Glass, Beveled Glass Windows, Illuminated Skylights, Domed Ceilings, and Custom Decorative Lighting. 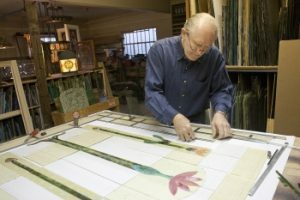 We employ age old techniques and processes to deliver the authentic look and feel of vintage stained glass. Many of the products we have made are featured in some of the world’s most elegant homes and public spaces. 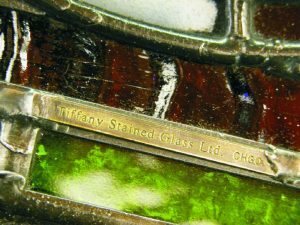 While we are proud to have served in such capacity, Tiffany Stained Glass, Ltd. remains dedicated to projects of all scope and dimension. 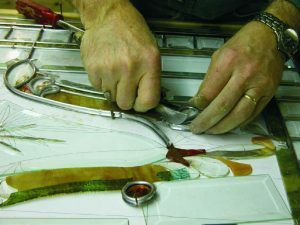 Here you will find traditional leaded stained glass, hand crafted beveled glass, hand painted stained glass, etched and carved glass, and cast and fused glass in the most contemporary fashion. Please enjoy your visit to our website, and complete the contact form to inquire about how we can best serve your next project. Our custom design process is thorough and comprehensive. We consult with the client to determine the best design and specifications for the project. We submit a proof drawing for approval, and samples to verify selections. Our experience in design and fabrication of glass products has given us a keen understanding of specialized projects and the demands of historical restoration. Our trademark brass signature tag is affixed to each product we manufacture. It is our way of identifying the product as genuine, and your assurance that our most stringent criteria have been met. 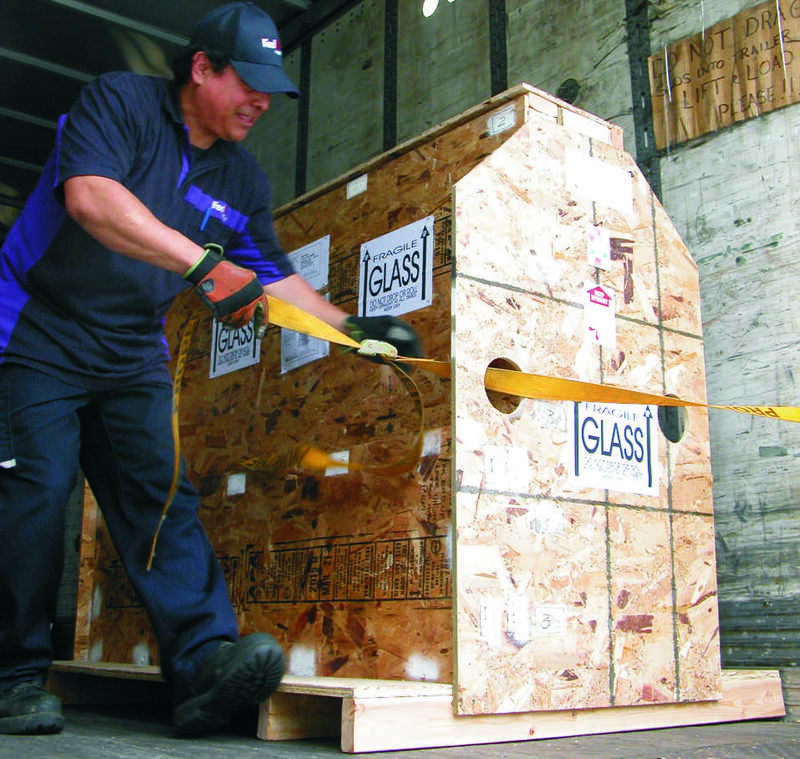 All completed work is carefully packed, and shipped orders are crated for safe transit. Our products have been installed worldwide, and our reputation for excellence renowned.
" 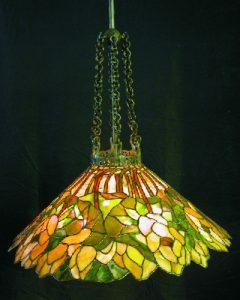 Tiffany Stained Glass has done several projects over the past 10 years for us. (The last one being in March) Bob and Pat Nugent are professional and wonderful to work with. They are extremely talented artists and their designs are exquisite. " " I needed something to dress up the window in my powder room. Window treatments were too dark and heavy. A stained glass window was the best option. Tiffany came and measured the window space and gave me some ideas for a design and we chose a color scheme that was perfect for my house. A couple weeks later I was able to visit their showroom and check on the progress and give input on the colors. Installation was complete in less than 4 weeks for the custom work. And the end product is beautiful! I get so many compliments on the work. I would hire them again! " 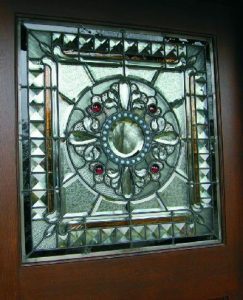 " Tiffany Stained Glass, Ltd is fantastic, friendly and fabulous with their craftsmanship. They truly are the best in the area and you can tell by their studio and the beautiful work displayed there. Their reputation precedes them as they have worked on many types of jobs, from large projects to small residential pieces. We would recommend them to anyone for repairs and creative new pieces. Thanks for being so close to Oak Park. " " They (Pat and Bob) came into a unique situation with me, as I had a previously made stained glass eyebrow window and needed it installed. They were very knowledgeable, professional and reassuring. The end result was perfect! I am so happy I hired Tiffany Stained Glass. " " Excellent experience. High quality workmanship, timely, courteous and professional. Would definitely use them again." "We love our bathroom window. Provides privacy and light. When the light shines it sends a prism of colors not seen in the picture. Thank you Tiffany Glass"
We had two new lamps that had to be rewired and have their electrical cords shortened to properly fit into their places in the room. Bob did a fantastic job and completed the work quickly and professionally. The lamps now fit perfectly into the decor of the room. Bob is now our "go-to" for all our electrical lighting needs. He also has some beautiful stained glass pieces in his shop. I had the window hung today. It is beautiful. Frame and repairs are superb. Thank you so much for the excellent work. Tiffany Stained Glass was very professional and made every effort to ensure our pendant lights would be everything we had hoped they would be. We first contacted them with a vague question and after a few discussions we were on the way to getting our perfect lights. They sent us pictures and samples of the glass and never tired of answering any question we had along the way. Bob was so helpful and easy to work with. We really appreciated the care that was taken with our project and we are so happy that we will have these beautiful works of art in our home to enjoy. Our Studio Showroom is located in downtown Forest Park, IL. We are just minutes from Chicago, and close to both Midway and O’hare airports. Please call to arrange a visit to discuss your project goals and see the quality of our workmanship for yourself. Please contact us for any sales or quote requests, product information, or technical info which you may require. We strive to provide you with the best service available and will make your inquiry a number one priority.